Most of the JFK files have been released, but 1% is still hidden for the public. Why is 1% of the documents still is secret? It must be something very special because CIA Director Mike Pompeo said to Mr Trump not to release the rest of the documents. Earlier this morning Mr Trump Tweeted this: «JFK Files are being carefully released. In the end there will be great transparency. It is my hope to get just about everything to public»! Mr Trump Tweeted that at 6:38 am today. Conspiracy theorists around the world have long been waiting for the rest of the documents during the JFK assassination. But bad news can be on the way. Mr Trump can block some of the thousands of classified files. It is about 3,100 documents left which is never before released, and most of them is created by CIA. Many are letters written at the spy agency to a special federal review board. The deadline to release the documents are set today, and the deadline is set by Congress under a 1992 law signed by President George H.W Bush that was intended to try to tamp down conspiracy theories about the JFK assassination. One of the main problems with this release is that some of the records within this collection were not created until the 1990`s, and some of them can be harmful to the national security if made public. Mr Trump can be under pressure to block the release of some of the assassination documents on national security grounds, possibly to protect CIA tradecraft and the identity of agency informants who might still be alive, according to spokesperson at Politico. Much of the documents were released by the Congress in response to Oliver Stones film «JFK». Millions of documents were released in the 1990s, but a few are left. Most of the documents were made by CIA, FBI and the Justice Department. Some conspiracy theorists belive Bush can be in trouble if they release the rest of the documents. Others say Lyndon B. Johnson was the mastermind. Another theory is the father of Senator Ted Cruz of Texas and his links to Lee Harvey Oswald. Jesse Ventura said in an interview with Larry King that Dorothy Kilgallen was ready to blow the lid of this JFK case, but a few days later she was found dead. Oswald was like many other witnesses taken off. This is how this case is a hot potato. 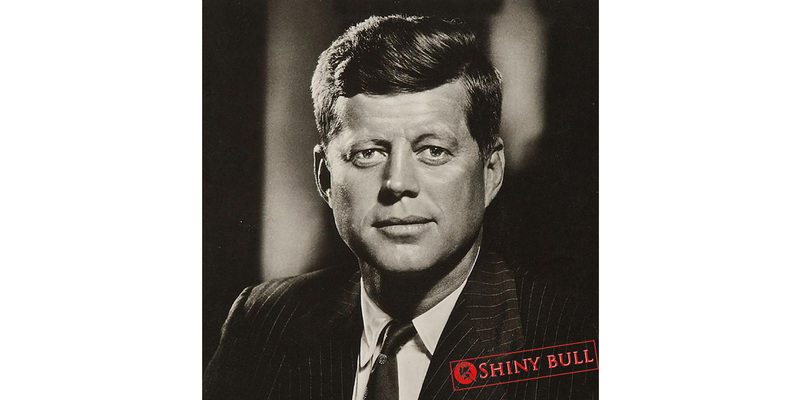 JFK had more enemies within his administration than Soviet and the rest of the world combined. Jack Kennedy had enemies in the military-industrial complex because he would not invade Cuba and wanted to end the war in Vietnam. He also wanted to take away the oil depletion allowance. He was the first President to bring in civil rights and equality. On top of that he wanted to break the CIA into a thousand pieces and fired their top three guys like Allen Dulles. He was also communicating with Nikita Khrusjtsjov and they were gonna end the cold war by 1965. Nikita was a Soviet politician who led the first Secretary of the Communist Party of the Soviet Union from 1953 to 1964. He was responsible for the de-Stalinization of the Soviet Union. In 1938, Stalin sent him to govern Ukraine. He was a political commissar during the Russian Civil War. «Im a patsy», and Oswald said it twice. «Im a patsy». Conspiracy theories will be held alive if they block any of the documents. Opinion polls in recent decades have shown that the American people belive there was a conspiracy in Kennedy`s death, despite governments investigations that concluded Oswald acted alone. A huge team of lawmakers on Capitol Hill has worked together in months to call for full disclosure of the JFK files. Some of the documents can still be kept in secret to protect the country, agents and agency`s but most of the documents will be released about the case that changed America. Under the law, everything can be released today, unless Mr Trump decides otherwise.